Home / Garden Sheds / Do I need to upgrade to a Steel Frame shed? Our steel frame garden sheds have grown in popularity over the past few years, particularly as people look for a stronger, more secure shed in what seems like more challenging weather conditions. Our steel frame sheds have a fully welded internal frame made from 25mm x 25mm RHS. This differs to our standard sheds which are essentially framed on the outside in channel and BaseSmart. When assessing whether you require a steel frame shed it should be noted that our standard sheds are still exceptionally strong and meet the N4 wind rating category. Our sheds are manufactured with thicker steel than many of our competitors and have been proven to withstand extreme weather conditions. We certainly get many calls about insurance claims after an extreme weather event! 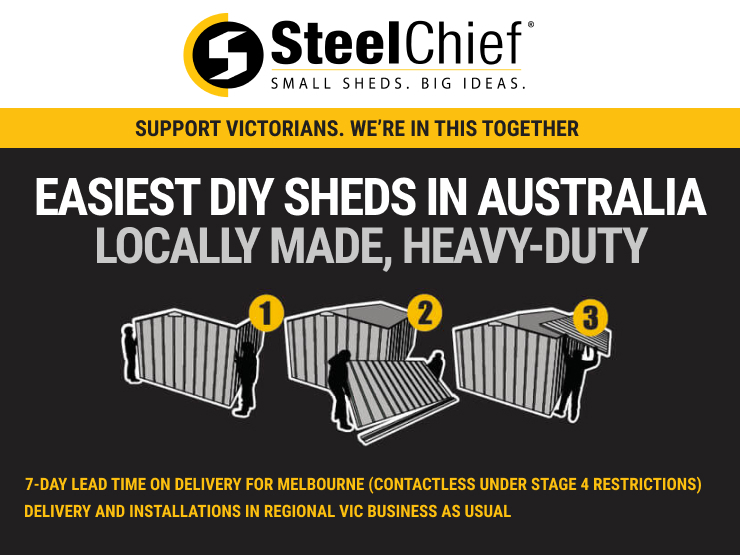 The steel frame shed option we recommend to people who are wanting additional strength in their shed or are perhaps looking to install their shed in an exposed area. If you are just putting a shed in a sheltered backyard then we typically suggest you don’t need a steel frame. If your backyard is exposed or you are installing a shed in an open area or paddock then we would suggest you upgrade to a steel frame option. There is also the option of adding a roller door to a steel frame shed which you are unable to do in a standard shed. If you are not wanting to pay the extra cost of a steel frame shed but are still wanting a more rigid and sturdy door then there is the option of just upgrading the door and opening to steel frame and not the rest of the shed.